A tip of the hat to Barnes & Noble! It’s cheap! How much can that little slip of paper and that dab of thermal printing cost? 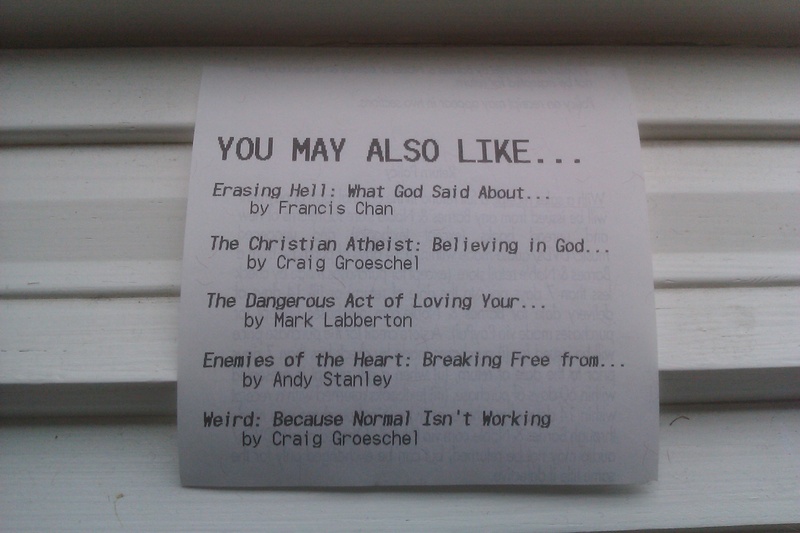 If I had but one critique for Barnes & Noble, I’d have to say that they actually include their name on this receipt!!! If I were to come across this on my counter several weeks after making this purchase I may not remember where it came from and go buy this book from Borders. Overall, this is a brilliant move that has been used extensively by online companies like Amazon, but often overlooked by mortar and brick retailers. Way to go Barnes & Noble (but next time, put your name on the receipt)!! !